Be careful if you try it at home, though. It might seem counterintuitive, but tropical forest soils are, almost universally, terrible for farming. That’s due primarily to the insanely dense amount of life in these environments: In less alive forests, dead plant and animal matter has time to decompose and leach its nutrients into the soil. But in the tropical forest, huge numbers of insects, fungi, and bacteria devour any decomposing matter before it has a chance to enrich the soil. But people around the world live in tropical forests, and have had to figure out some way to make the soil actually productive. (The effects of the destruction of these forests on the eco-system notwithstanding.) One of the oldest techniques, long documented in the Amazon rainforest, is what’s known as “black earths” or “terra preta.” For hundreds of years, rainforest farmers have figured out that you can enrich soil with biochar: charcoal, basically. Wet vegetation is burned, producing little bits of charcoal, which are ground into the soil. Eventually, this creates an incredibly rich, fertile soil. In only the past few years, researchers at universities around the world have realized that the Amazonian technique is replicated in various forms around the world, including West Africa. This new study, led by researchers at the University of Sussex, analyzed 177 sites in Liberia and Ghana and proved that biochar additions, practiced for centuries in these areas, have increased the carbon levels in the soil by two to three times. By living in villages in these countries, researchers described the techniques: ash and bones, along with kitchen waste, are recycled back into the soil. 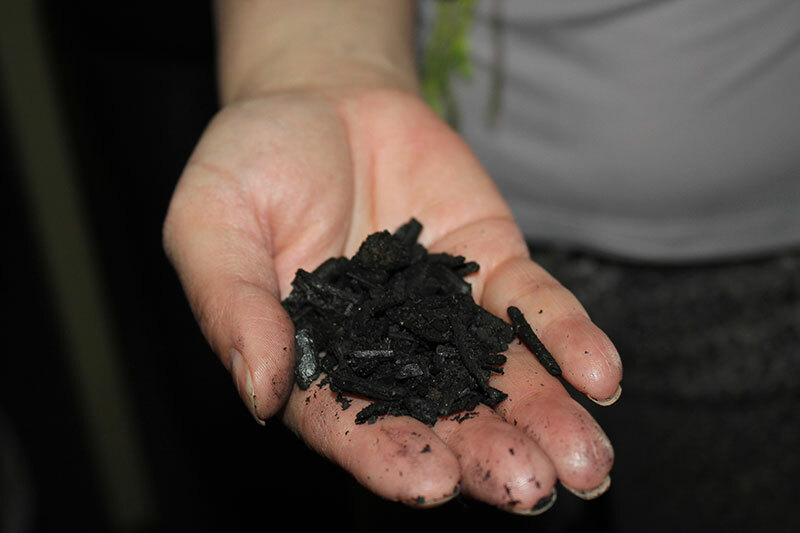 The press release for the study says the practice “could help mitigate climate change.” What they mean by that is that the biochar method transfers carbon to the soil, reducing the amount of carbon dioxide released into the atmosphere. But that depends on the specific method: The infamous slash-and-burn method, in which material like trees and plants are simply burned in open fires, transfers a very small percentage of carbon to the soil, releasing much of it into the atmosphere in the form of carbon dioxide. But slash-and-char, in which wet vegetation under a layer of straw is burned into charcoal, is much more efficient, transferring almost half of its carbon content into the soil. Both slash-and-burn and slash-and-char include, you might notice, the word “slash” and involve deforestation, one of the most destructive acts for the environment. The carbon sequestration that results from slash-and-char makes it the lesser of two evils – but not “good,” exactly. That said, there are sustainable sources of biochar that can be had by the home gardener, if you want to use the technique without burning down the woods in back of your house. Check out this Washington State University guide for more.